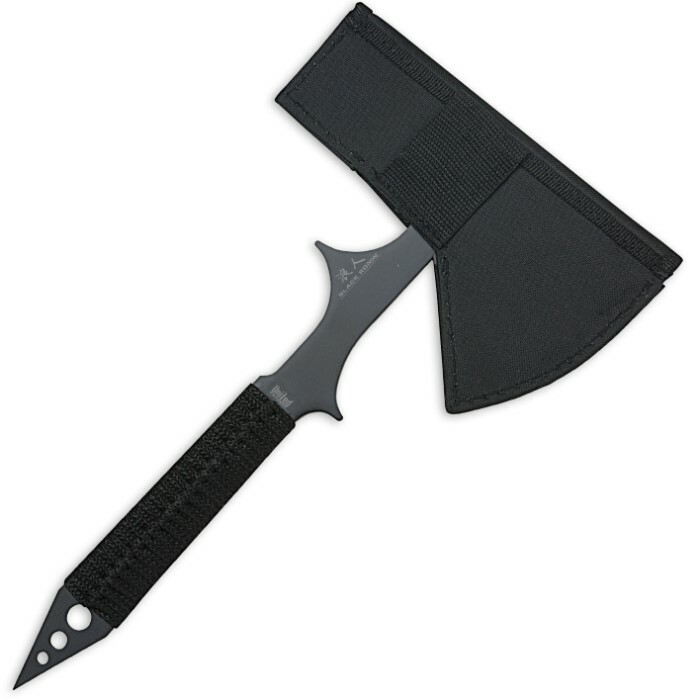 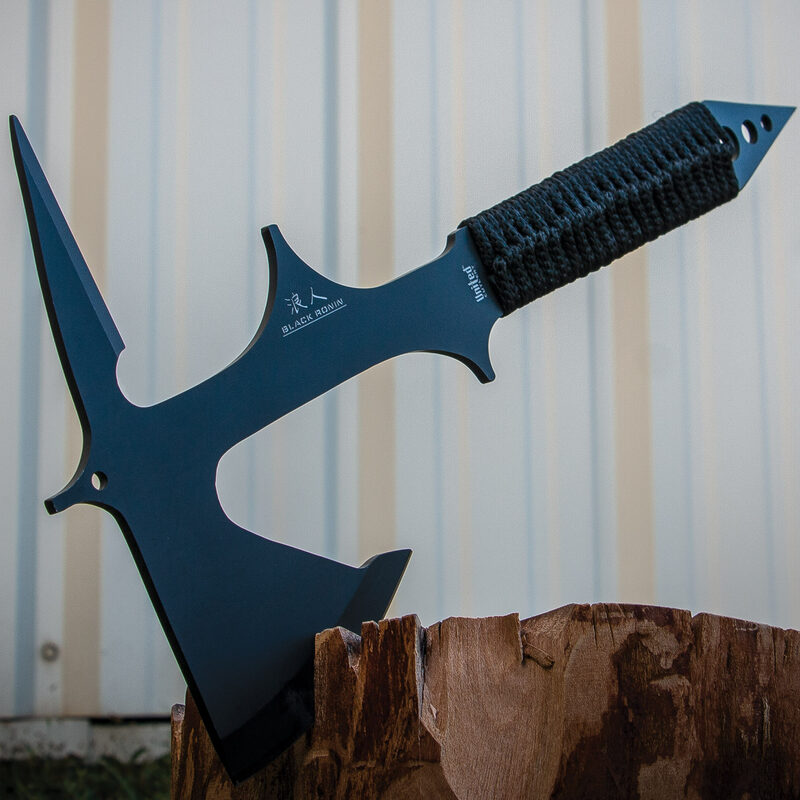 Black Ronin Tactical Tomahawk Axe And Sheath | BUDK.com - Knives & Swords At The Lowest Prices! 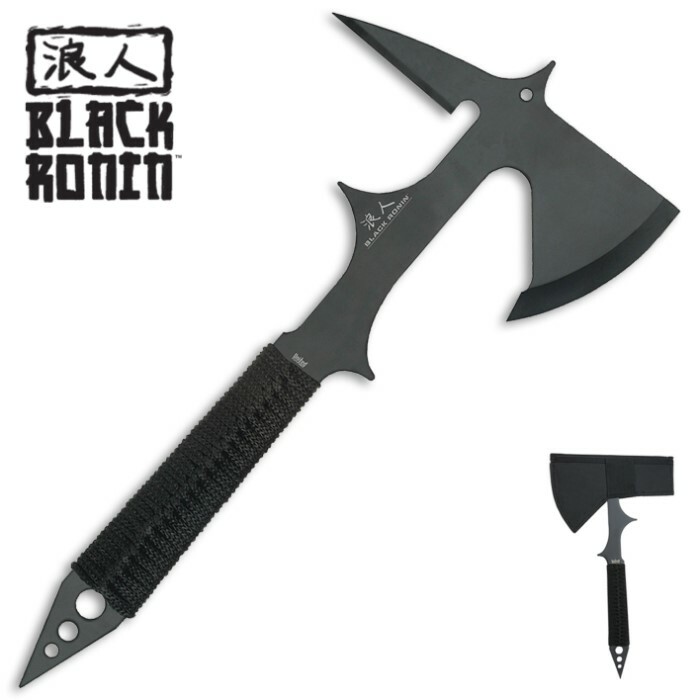 This premium tomahawk from Black Ronin features rock solid, one-piece tempered 420 stainless steel construction with a black, nonreflective finish. 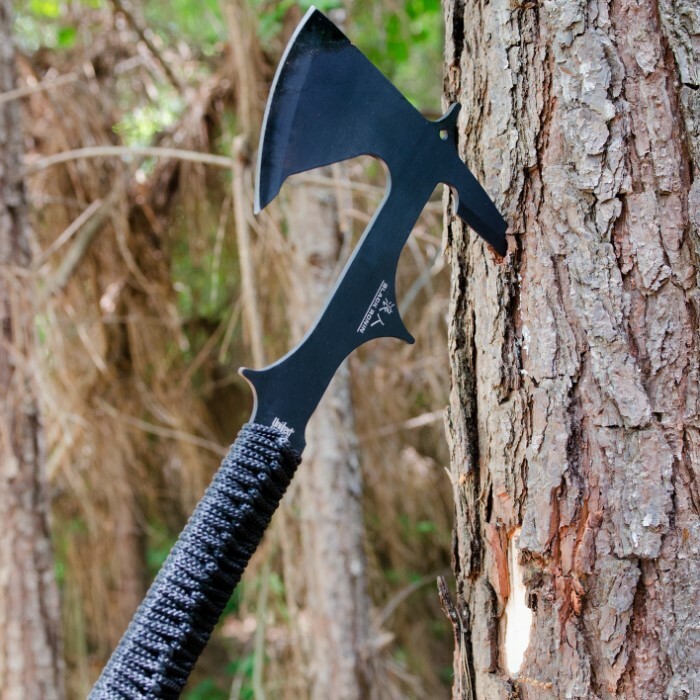 The handle offers our exclusive black nylon cord wrapping for a secure grip and stylish look!